Ashley Stewart is excited to partner with dozens of universities across the U.S. to host the #AshleyCollegeTour to promote Ashley Stewart Leadership Scholarship Program, an initiative developed to help empower women through education. Ashley Stewart, the popular women’s apparel retailer, values education, empowers women, and supports future leaders like you. 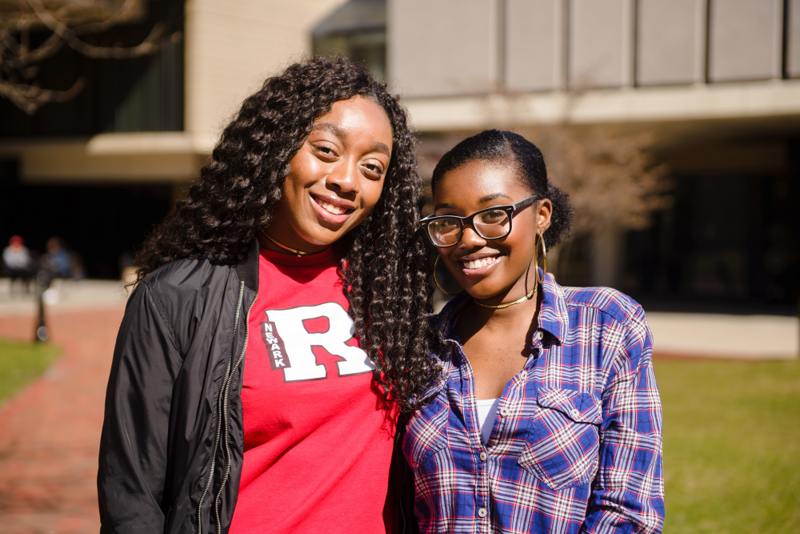 One Rutgers University-Newark Undergraduate female (includes identifying as a woman) student will be awarded a $5,000 scholarship, created by Ashley Stewart, for the 2019-2020 academic school year to assist in pursuing her educational goals. Scholarship recipient will be contacted on June 20, 2019. The winner will be asked to attend the Finding Ashley Stewart Finale on September 14, 2019 and may be asked to appear at other related events. If you should have any questions about the scholarship and/or application, please contact Natalia Morisseau, Director of Financial Aid. What makes a great leader? How do you define leadership? When have you demonstrated great leadership? For what reason(s)? How and what are your plans for embracing your leadership in the future? We look forward to receiving your applications and learning about all of the dynamic students at Rutgers University-Newark! Ashley Stewart is a global fashion and lifestyle brand that has propelled itself to be on the vanguard of social commerce. Since its founding in 1991 in Brooklyn, New York, Ashley Stewart has always stood for uncompromising style, fashion, confidence & empowerment for the woman who flaunts her curves. Today, Ashley Stewart offers the hottest looks with 89 stores across the United States, a leading and global e-commerce presence at www.ashleystewart.com, a powerful social media presence @byashleystewart and a growing multimedia and events arm at AshleyTV. Every year, through the Findiing Ashley Stewart Tour, Ashley Stewart traverses the country looking to recognize women who embody the ideals of the Ashley Stewart women: kindness, resilience, confidence, community and fashion. Through #ASGives, Ashley Stewart engages in programs such as the #AshleyCollegeTour to make long-term investments into the communities that have supported the brand for close to 30 years.